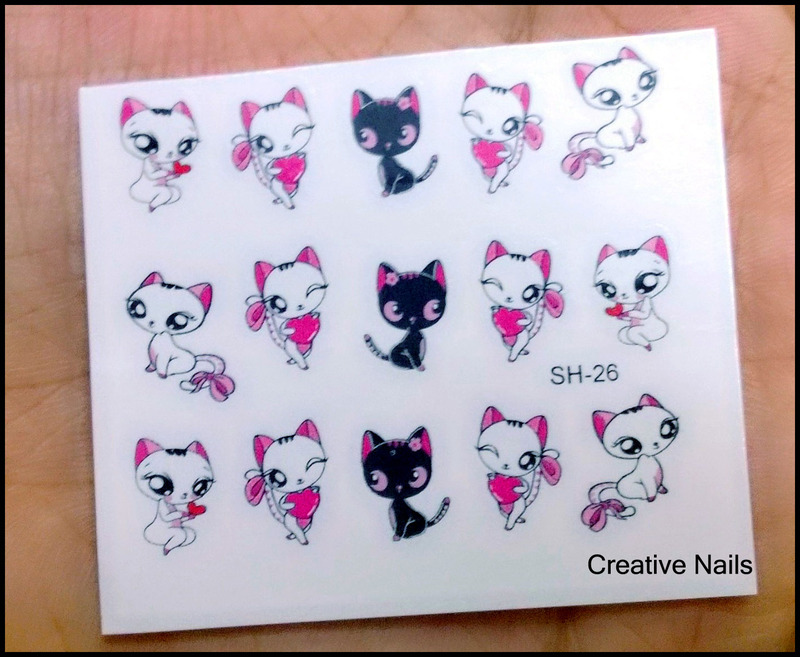 Cute Cat Nail Art Water Decals!! 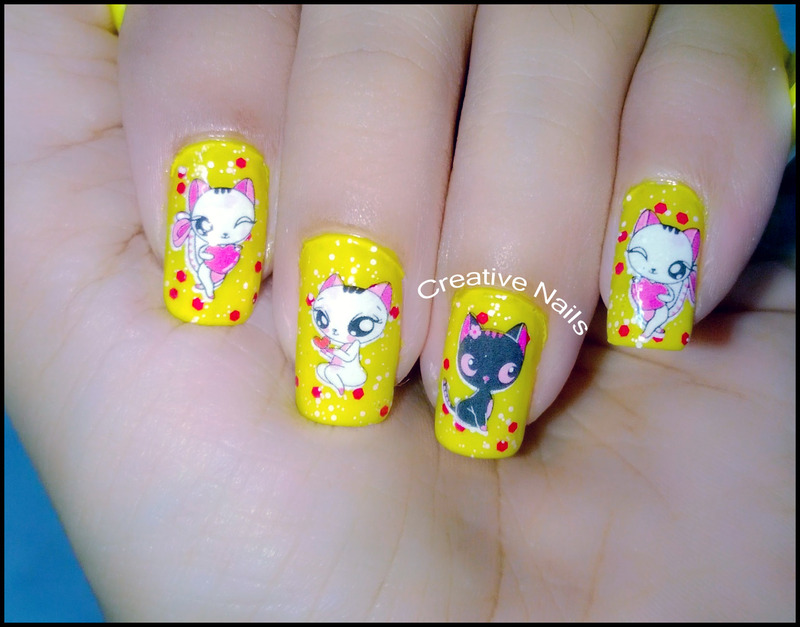 Today Creative Nails has got some cute cats for you in the nail basket 🙂 :-). These are water decals bought from Born Pretty Store. These must be dipped in water before using to expose their adhesive side. They are not very sticky, which means you can move them around as much as you want to get them positioned just right. On the other hand, traditional adhesive stickers are very sticky and so you need to place them carefully and you get only one shot to place them at the exact position. Most of us know how to use sticky stickers but not water decals. In case if you have never used water decals before,don’t you worry! Creative Nails will help you! Follow these simple steps. 1) Paint your nails with clear polish and let it dry. 2) Apply the base coat matching your water decal. Let it dry. 3) Cut the water decals with scissor. Don’t worry if your decal is not having clear boarder but take care to see that you will not cut the plastic protective coating. 4) Take water in a bowl and put the decals in water. Leave the decal under the surface of the water for about 15-20 seconds. 5) Remove your decal from the water and it should easily slide off of the paper backing. If the decal does not slip off, it means you didn’t submerge it long enough under the water. 6) Carefully take the decal and place it on your nail. It is not so sticky. So you can slowly slide and re-position the decal. 7) Wait a couple minutes till the droplets of water have dried up and then apply a topcoat to get the decal to really stick onto your nails. ← Zombie Nails For Halloween! !